Red lipstick and sneakers: Happy Halloween! Yesterday was Halloween, and we got to dress up as work. 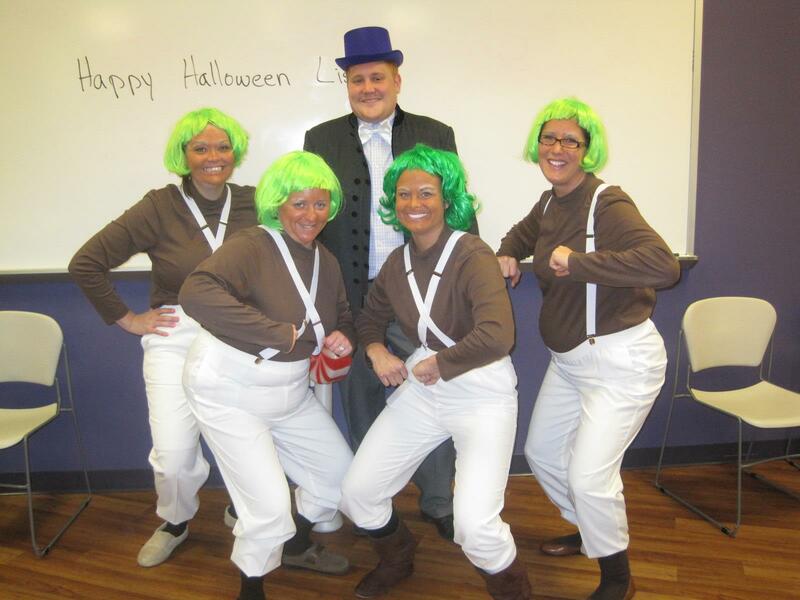 Sheri, Lindsey, Maggie and I dressed as oompa loompas and Andrew was our Willy Wonka. I'm not going to lie - I have entirely too much fun being in costume.